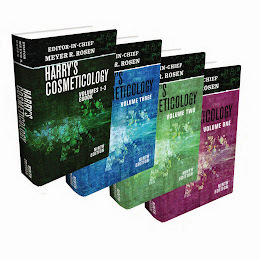 Florence Nacino, Baby Care Anti-Aging Products, Harry's Cosmeticology 9th Ed. Florence Nacino is an independent consultant and founding member of three successful entrepreneurial companies. She has over 30 years experience directing Quality Control, Quality Assurance, Validation, Regulatory Affairs, Technical Operations, and R&D. Florence served as a former Executive Vice President and Chief Scientific Officer at Puretek Corporation for 19 years. 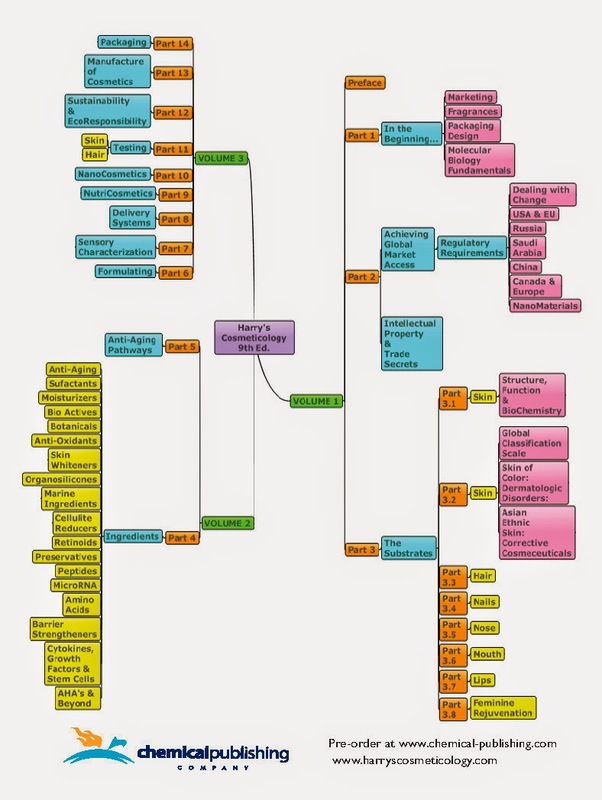 Puretek is a manufacturer of cosmetics, dietary supplements, and pharmaceutical products. Other positions she held at Puretek include Executive Vice President of R&D/Regulatory Affairs to Business Development and Formulator. She has created many health and beauty products sold in mass, prestige, medical, spa and salon markets. Ms. Nacino joined Raffaello Research Laboratories in May 2011 and served for a year as Vice President of Research and Development working with major marketers and movers in the cosmetic field. Florence has a B.S. Chemistry from the University of the Philippines, an MBA from the University of Phoenix, is an Exemptee of the California Board of Pharmacy, and a Regional Councilor for the FD&C Division of the American Society of Quality. She is an active member of the Society of Cosmetic Chemists, the Regulatory Affairs Society, Cosmetic Executive Women, the American Chemical Society, and a Board Member of Beauty Industry West. Ms. Nacinois the creator of Earth Baby, a prestige brand of eco-friendly/organic/natural products for babies. She started her own consulting firm, OYE INC Consulting Group, in January 2011 to help colleagues and stakeholders in the food, drug, and cosmetic industries overcome challenges in formulation, research, product development, validation, sourcing, manufacturing, process, quality, and regulatory affairs. Karl Lintner, Telomeres, Harry's Cosmeticology 9th Ed. Karl Lintner obtained a Degree in Chemical Engineering and a PhD in Biochemistry from Vienna University in Austria. After 10 years of Research on Biological Peptides at the Nuclear Research Centre in Saclay, France, he became Laboratory Manager, then Marketing Manager with the HENKEL Company, Düsseldorf, Germany. Joined SEDERMA in 1990 as Technical Director and later headed the company for ten years as Managing Director. He was recently appointed Associate Professor at the University of Versailles to teach classes on cosmetic chemistry. He has filed several dozens of patents, published numerous articles and book chapters on cosmetic ingredients, and is an active member of SCC and SFC (France); he is Editor-in-Chief of the International Journal of Cosmetic Science and was the recipient of the Maison de Navarre Medal of the SCC in 2012. 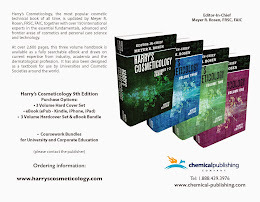 Marsha Bro and Satish Nayak, Antioxidants and Extraction Processes, Kemin, Harry's Cosmeticology 9th Ed. Marsha Bro is the Marketing Director for the personal care division of Kemin Industries, a manufacturer of natural, plant-based ingredients. Marsha is focused on strategic marketing, identifying and pursuing opportunities that are best suited for the company vision. She is also involved in product development, fulfilling unmet needs of the marketplace. Marsha has been with Kemin since 2002. Marsha received her Master’s degree in Business Administration from Drake University, Des Moines, Iowa. Satish Nayak is the Director of Research and Development for Kemin Personal Care. He joined Kemin in 2008 as a Scientist for Kemin Industries Discovery Research group where he was the project manager for Chemistry and Biochemistry projects. Currently in his position, Satish is responsible for innovation, quality control and customer laboratory support for personal care ingredients. Prior to coming to Kemin, Satish worked as a Post-Doctoral Assistant at the University of Chicago, where his research was focused on developing biological models to understand the effect of proteins, particularly enzymes on cell surfaces. He holds a Bachelor of Science in Chemistry from Ramnarain Ruia College in Mumbai, India and he received a Master of Science in Analytical Chemistry from the University of Mumbai in India. Satish also obtained his Doctorate of Philosophy in Chemistry (Polymer) from the Georgia Institute of Technology in Atlanta, Georgia.